Billy is the owner of Dance Starz AZ. One of Arizona’s leading Ballroom and Latin studios for the past 7 years, teaching For the past 26 years he has been ranked in the top 5 in the country in Latin dancing, he has performed and taught many celebrities including: Carol Burnett, Marky Post, the singer Maya and even had a opportunity to dance for former President and Mrs. Clinton while he was in office. He is very excited to be here tonight and supporting Dancing for Arizona Children wishes all the contestants the best of luck! Originally from Genova, Italy, Daniele Cavallo discovered his passion for ballroom dance after watching the Blackpool Dance Festival, the most prestigious ballroom competition in the world. At the age of 17, Daniele determined to become a professional dancer. 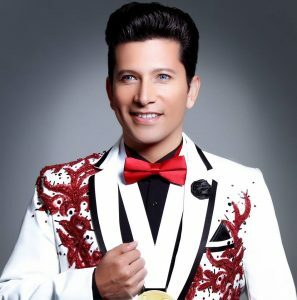 During his dancing career spanning over two decades, Daniele has represented his home country Italy, the United States, and Israel at competitions around the globe. In 2011 he was a finalist at USDC in the RS Latin open to the world championships. Additionally, Daniele has earned many titles of distinction in Latin dance at numerous other competitions, including the California Star Ball, Desert Classic DanceSport Championships, Hollywood DanceSport Championships, and Vegas Open. Daniele continues to compete professionally in the Rhythm division with his current partner, Leela Fazzuoli. Together they won the RS Rhythm events at California Star Ball and Desert Classic DanceSport Championships, and were RS finalists at Embassy Ball, and Holiday. Classic. Daniele teaches in Phoenix and is enthusiastically training a new generation of competitive dancers. Through his coaching and instruction, Daniele is imparting his exceptional knowledge of Latin dance to a new generation of dancers. Born and raised in Scottsdale, Arizona, Leela Fazzuoli started with ballet training at age 7. Training all throughout America until graduating from high school. She then danced professionally with both Pittsburgh Ballet Theater and Ballet Arizona before discovering Ballroom dancing. She began dancing International Latin in the Pro/Am division with her teacher Hunter Stephens. Upon transitioning to becoming a professional she switched styles to American Rhythm, which she is now competing with her current partner Daniele Cavallo. Winning the Professional RS Rhythm events this past year at California Star Ball and Desert Classic Dancesport Championships, and making the RS final at Embassy Ball and Holiday Classic. She currently teaches at Dance Starz Az in Phoenix and loves passing on her knowledge to her students. Tudor Alexander is a professional ballroom dancer and coach in Phoenix, Arizona. He has been competing and teaching for 10 years and his goal is to empower people to “Dance Their Way Through Life” by using the principles of ballroom dancing as a life’s discipline and personal growth journey. Tudor is also an author and hosts his own personal development podcast, The Seven Transformations, on a variety of popular platforms. He teaches in Phoenix and in Tempe. Geo has been dancing for over twenty years. He started under Lena DeMarco studying modern, ballet, and jazz. Geo went on to dance with numerous dance companies including Dulce Dance Company and Desert Dance Theater. Geo had the opportunity to participate in the White Oak Dance Project where he danced with Mikhail Baryshnikov. He started Dancing with Dance Starz over three years ago, and is extremely excited to be participating once again in this amazing event. Elijah started dancing in 2008 by taking a salsa class at Arizona State University. He quickly realized that learning dancing was a great break from classes and an even better way to meet women! Afer a few weeks he made it his ultimate goal to turn his “two left feet” into smooth dancing machines. By the end of the semester he found himself addicted to Latin dancing, going out to the local salsa clubs every week and testing his abilities. He found a joy in teaching fellow classmates everything that he knew, and this planted the seed for the teacher he has become today. After feeling accomplished with the Latin dances, he pursued the ballroom dances such as Tango, Foxtrot, Swing and more in order to expand his knowledge. A few months later the idea of competing was introduced, and after his first competition his desire for dance took off like wildfire!! Within the next 3 years he went on to compete at competitions across the United States as part of the ASU Ballroom Dancing team. He worked his way up through the skill levels from Bronze-Silver-Gold, focusing on each proficiency skillset for over 12 different dances. By the time he was a Senior in college he was fully immersed in the competitive world. He went on to win the Collegiate National Championships in 2012 and was a finalist in the United States Amateur Championships in 2013 for the American Rhythm division. Since then, Elijah knew he wanted to spend his life pursuing his passion and sharing that passion with others. He began teaching at EuroRhythm in 2012, and today continues to compete professionally across the country with his partner and with his students. 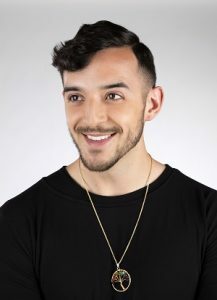 Elijah specializes in the Rhythm and Latin dances such as Cha Cha/Rumba/Swing/Mambo and more, but also enjoys the social dances like Country Two-Step, Salsa, and even more exotic dances such as Bachata and Brazilian Zouk. He loves to see all his students grow and enjoy the benefits of ballroom dancing, from taking that first step on the floor to competing at the highest level. Since a very early age, Julianne has been dancing, performing, and competing both in classical dance such as ballet, tap and jazz, as well as other areas, including various sports and horseback riding. For 10 years, she trained and performed in traditional dance, but was involved in so many activities she couldn’t do them all. She then followed her passion of riding and showing Arabian horses, accumulating numerous local, regional, and even national awards. After high school, she began attending college at Santa Clara University, where she received a Bachelor’s in Business Management and a Bachelor’s in Psychology in just 4 years. Julianne also holds a Master’s of Business Administration from the W.P. Carey School of Business. Julianne currently competes as a Professional Ballroom dancer with her partner Nikolay Kralev. In their relatively short time competing together they have already achieved such results as Rising Star Smooth Champions at the Portland Open, as well as being finalists in prestigious events including, but not limited to, the Hollywood Dancesport Championships, Desert Classic Dancesport Championships and the Galaxy Dance Festival. Julianne also competes actively with her students in ballroom competitions across the United States and abroad, particularly in Europe.